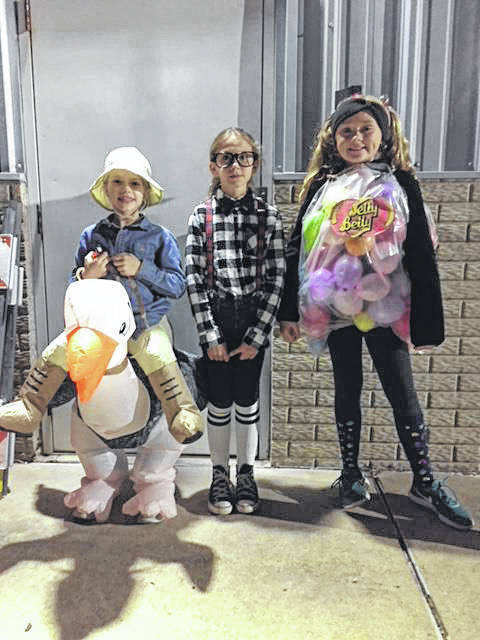 RACINE — As part of the annual Halloween activities in Racine, the post-Trick or Treat party and costume contest was held at the Racine Fire Department. The costume contest is sponsored by RACO. There are three age groups and first second and third place in each. First place winners were awarded $20, second place $15, and third place $10. 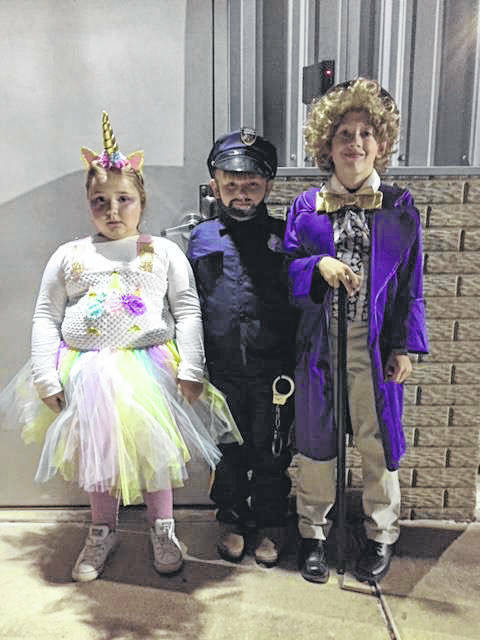 In the age group 0-6 years the winners were: first place, Landon Colburn (Police Officer); second place, Avery Peterman (unicorn); third place, Dayton Reiber (Willie Wonka). In the age group 7-12 the winners were: first place, Adrien Kinnan (Jelly Belly); second place, Bailey Brewster (duck hunter); third place, Annabella Russell (Nerd). 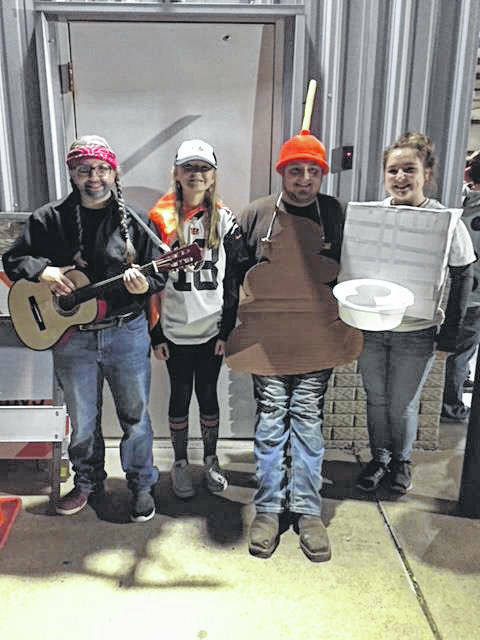 In the age group 13-adult the winners were: first place, Tori Brewster (Willie Nelson); second place, Ava Roush (Bengals Fan); third place, Clayton and Karlee Moore (Emojis).